Happy New Year to all of our customers. It’s 2018. We hope you had a great Christmas and now it’s time to clear up the Christmas debris, pack away the decorations and hit the ground running for 2018. This can be a bit of a task, especially if you bought a massive tree. Depending on whether your tree has roots, will determine how fast the needles fall. Keeping the tree well watered is key to ensuring minimal mess and drop. Let’s face it, the tree comes in from outside into a warm, centrally heated house, so dropping is inevitable. First off, decide whether you are replanting the tree or disposing of it. Have you considered this? If your tree has roots, why not plant it. You can then dig it up again next year and save yourself a few quid, or you can decorate it in your garden with some of our exterior LED lights. If your tree has no roots, it’s time to dispose of it. The best way is to get it outside with minimal mess. If you can get it out without dragging needles throughout the house, go for it. Once outside, chop it into smaller, more manageable chunks, which can be burnt, packed into the brown bin, or left out for the bin man. Sometimes the local council will collect the tree whole. Check with your local council to see if this service is available. 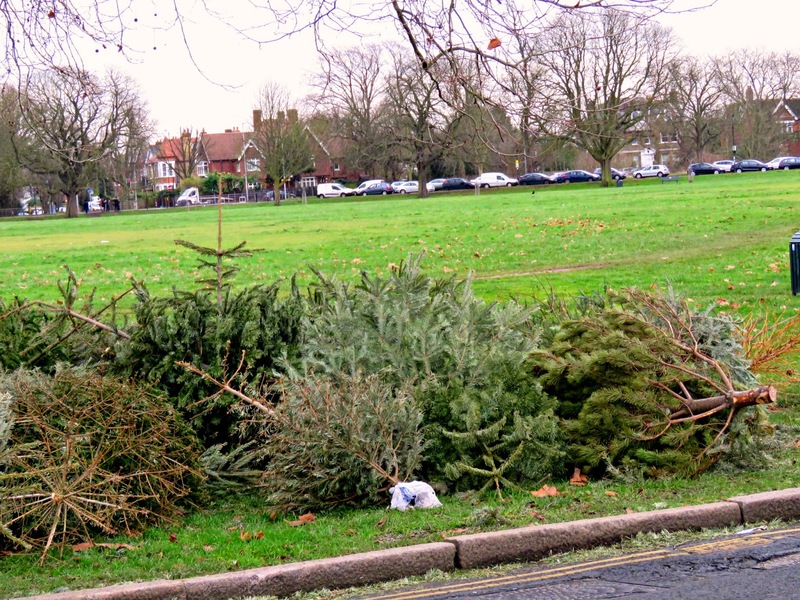 Yes, you can compost real Christmas trees – once the decorations have been taken off. Use one of our decorations storage bags to safely pack them away ready for next year. View our Christmas Packaging products here. It’s a myth that pine needles will make your soil more acidic. OK, it might be easier to leave it out for the binmen, but you could, with a little effort, make better use of it. Making some homemade coasters by slicing, sanding and sealing the trunk with a saw. Chop it up and use it for firewood. First, remove the decorations, take off the spindly branches and dispose of in the garden waste bin and then chop up the wood, ready for storing in the wood store. It’s ideal for kindling and wood to be burnt in your open fire or wood burner.